Ellenos has raised $18 million to help fund its expansion, now that it has outgrown its factory in Georgetown. 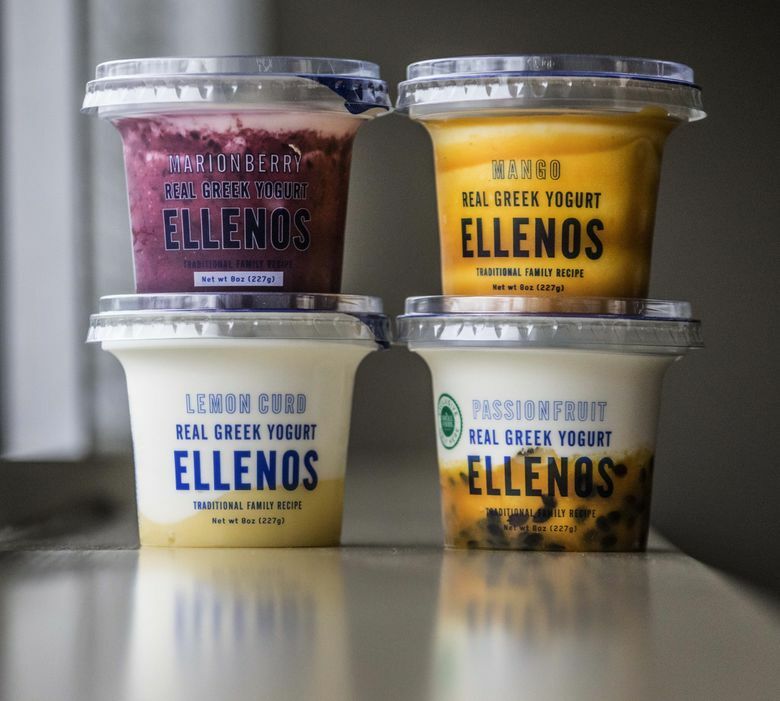 Ellenos, a premium Greek yogurt maker, popped up in Pike Place Market five years ago by way of Australia, via Canada. Now the company wants to build a yogurt empire, and its factory in Georgetown, capable of producing 10,000 pounds of yogurt a day, isn’t big enough. Ellenos has raised $18 million from Los Angeles private equity investor Monogram Capital Partners to help fund its expansion. 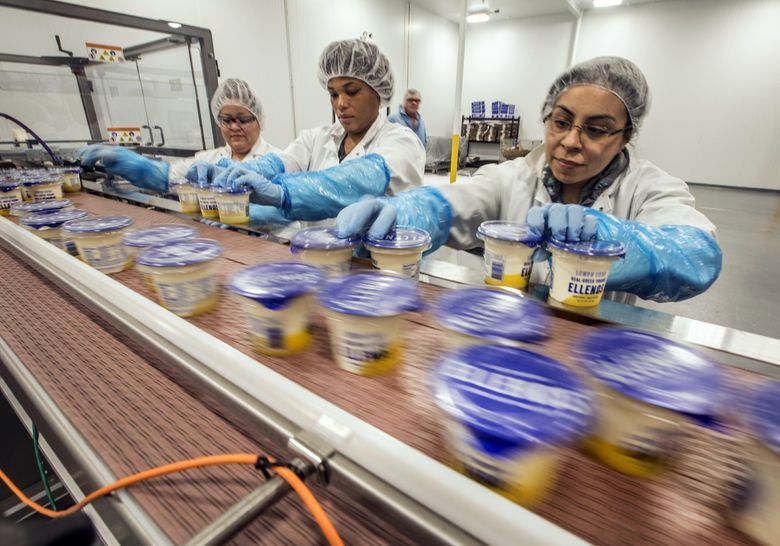 A new Federal Way factory will be able to produce about 100,000 pounds of yogurt a day. At first the new capacity will be used to better fulfill orders from Northwest customers, who buy the product at more than 300 grocery stores and Ellenos retail stores, said Ellenos founder Constantinos Apostolopoulos. “Once we do that, we’ll look to take what we’ve built here with everyone, with this community, and then take it across the country,” Apostolopoulos said. It’s a local business growth story with a very international beginning. Yvonne Klein, who used to work for Air Canada on a regular route between Vancouver, B.C., and Sydney, Australia, raved to husband Bob about the Greek yogurt she would eat there, eventually smuggling it home in larger and larger quantities. “She was bringing way too much home,” Bob Klein said. Klein decided to go see about the Australian yogurt business. He had taken a produce stand in Pike Place Market and thought it would be an ideal location for a premium yogurt, he said. He cold-called Apostolopoulos, whose family immigrated to Australia in the 1960s and ran fast-food restaurants and made yogurt and cheese. But Klein didn’t hear back until 2011, when Apostolopoulos said he was ready to try his hand in a U.S. market that’s an order of magnitude larger than Australia. 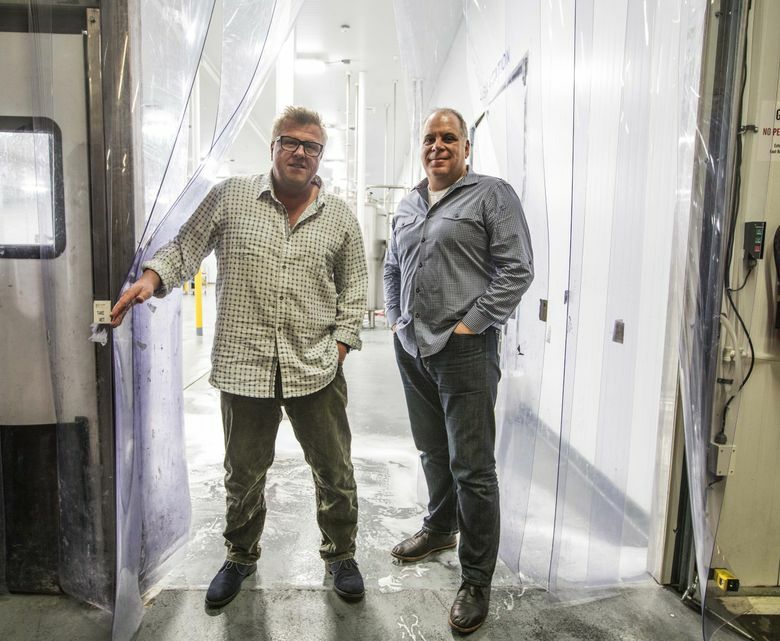 It took another two years before Ellenos came together, starting with a 100-gallon vat in the Georgetown factory that Apostolopoulos and Klein built out themselves. The name wasn’t decided until the night before they opened in summer 2013, Apostolopoulos said. It is a made-up word inspired by Hellenic — meaning Greek — and the first sound in the word Australia. The business got a break when local Asian grocery store Uwajimaya agreed to give it space. “An Australian making Greek yogurt, selling in a Japanese grocery store — and that’s pretty much how it took off,” Apostolopoulos said. The company has grown from four people — the Kleins, Apostolopoulos and his son, Alex — to 105 employees now. The investment, brokered by Seattle investment bank Meridian Capital, gives Monogram a minority ownership stake in the business. The funding will help pay down debt related to the new factory, finance the planned expansion and hire more staff, Klein said. Apostolopoulos said he’s looking forward to getting back to refining his family’s yogurt recipe and processes. “Partnering up with Monogram will free me up to get back to what I love doing,” he said.